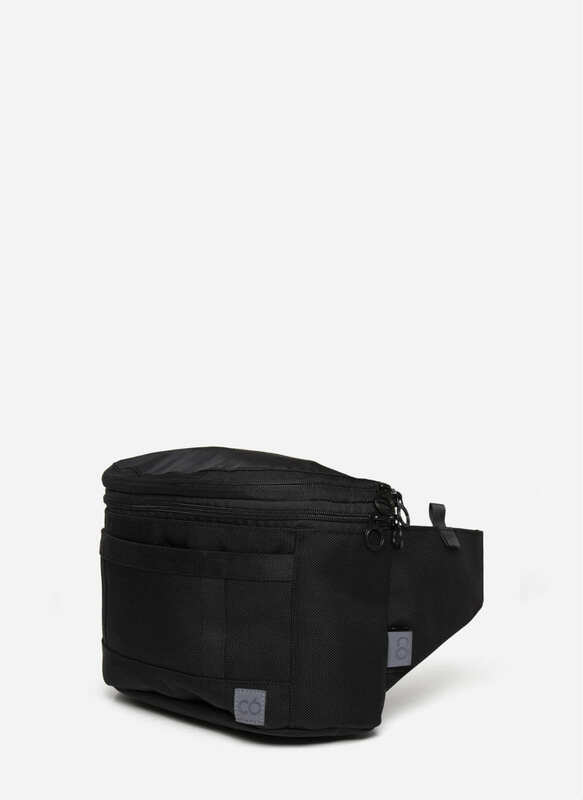 The Pion Black canvas convertible backpack is a cross strap men’s bum bag which quickly converts to a lightweight backpack. With just one zip a collapsible section expands from the top of the bum bag, exposing the backpack straps and doubling the capacity for all your tech. The Pion Black Convertible Backpack is a cross strap men’s bum bag which quickly converts to a lightweight backpack. With just one zip a collapsible section expands from the top of the bum bag, exposing the backpack straps and doubling the capacity for all your tech. The perfect over the shoulder bum bag for festivals and holidays. Made from C6 signature black canvas and CORDURA®, the convertible bumbag features 7 separate compartments including hidden zip pockets; branded metal zip pulls & leather base panel.